What’s it like to cut up the clothes of someone greatly loved, but no longer with us? 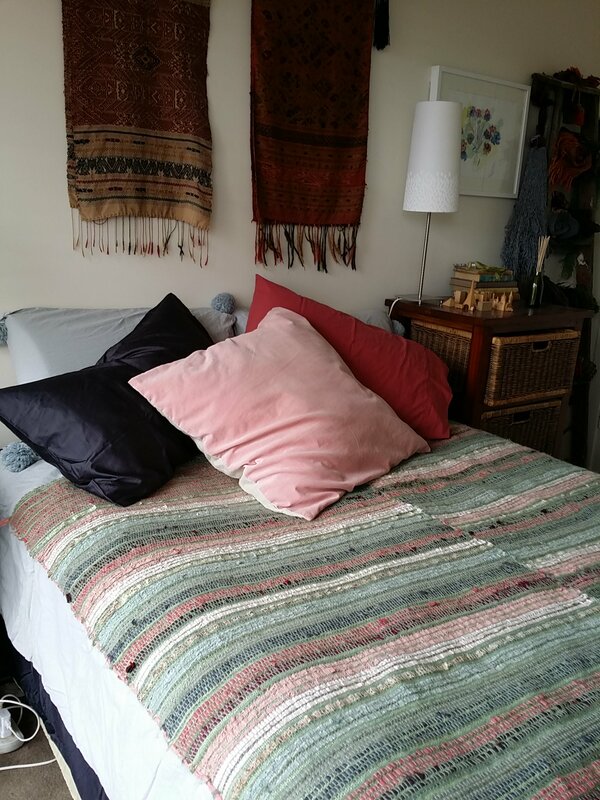 This rug I made in the midst of my own grief is now on my bed, a daily source of delight, comfort and sweet memories. I’ve just finished a bedspread with a mother’s stash of fabrics. Her daughter kept all this beautiful cloth but didn’t know how best to honour it for 50 years. My client doesn’t sew, but she chose an amazing selection of her mother’s fabrics for me to work with. As I started to cut them up I felt an awe for this woman I never met and her skills as I cut and tore her fabrics in a way she never would have. There’s something about this process that is a destruction of something from the past in order to create something for the future. Once I had cut strips from each of the fabrics I played around with possible combinations for the weaving. 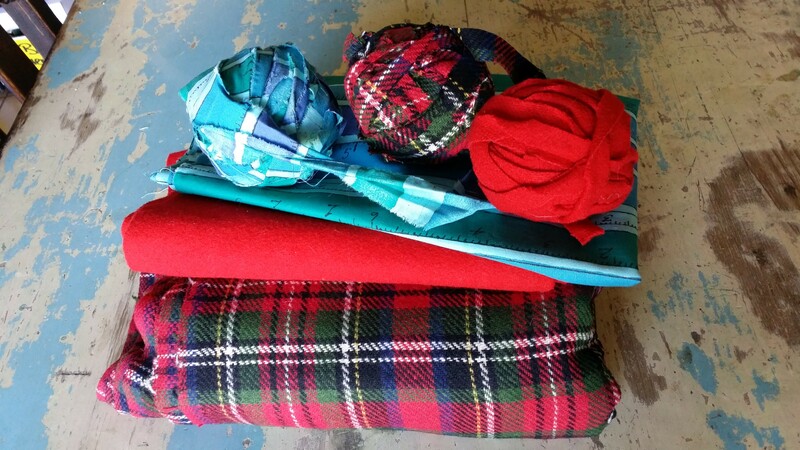 The turquoise, red and tartan seemed to ‘pop’ together, particularly with a black background. 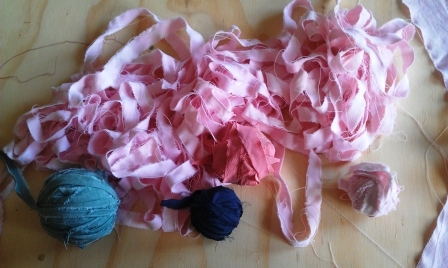 For me this process of cutting and tearing into old clothes and fabrics is a kind of honourable disassembly and unravelling. It is both physical work but more importantly psychological work. When I take a textile that was precious but discarded from one lifetime and start preparing it for another I want to take time to honour and respect the wearer and the life that has past. The torn and cut fabric I know from my own experience will be both a talisman of the past and part of a new fabric with its own life in the future. It can be a profound starting point for a process of reclamation, transformation, and renewal. Have you seen the Leunig comic in the age today? I think you would like it. I missed it Maria. I’ll try to find it on line. Thank you! I found it Maria! Hilarious! Thank you!